Drink Why Are We Neglecting The Hidden, Magical Secrets of Bourbon Yeast? Why Are We Neglecting The Hidden, Magical Secrets of Bourbon Yeast? Already revered in vino and beer circles, yeast strains like "Q" "K" and "V" are key to unlocking the mystery behind your favorite whiskeys. Louisville’s Haymarket Whiskey Bar bourbon selection is so massive that I’m not even sure they have what could be called a top shelf. That might be more of an organizational issue, but suffice to say incredible bottles are plentiful, pretty much scattered everywhere and anywhere, wherever there’s space—high shelves, low shelves, tables, atop the beer fridge, even on the bar top itself. No matter where a bottle is placed, though, there’s a good chance you’ve never tried it before. 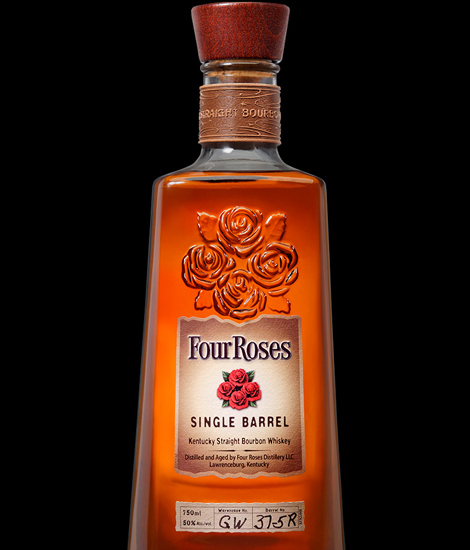 Just last month I was drinking my way through a few bourbon oddities when I zeroed in on a series of Four Roses private barrel bottlings I particularly liked. “That’s probably because you really like their ‘Q’ yeast,”remarked my drinking companion, Josh Peters of The Whiskey Jug. That’s right—if you know what you’re looking for, and where to look, you can actually find ten distinct Four Roses Single Barrel bottlings, each with names like OESV, OBSF, or OBSQ. Until Peters tipped me off, I hadn’t really thought about what those seemingly random letters meant, though I did keep noticing I preferred expressions that ended in the letter “Q” for whatever reason. Interesting, huh? Yet, before chatting with Peters that night at Haymarket, I had rarely heard anyone talk about the importance of yeast in whiskeys. Which is strange it’s such a huge part of the conversation around beer and wine. Beer geeks fetishize yeast, whether it’s a standard ale or lager house strain, or a Belgian or German strain that adds those great fruity esters. And we’re absolutely obsessed, most interestingly, with “wild” yeast (either naturally occurring in the air or cultivated) which so often produces those tart and sour notes found in gueuzes and wild ales. Likewise, try to take a tour of a winery without your guide talking your ear off about the yeast and how it affects the final wine in the bottle. Yet, for some reason, whiskey yeast is rarely discussed, even though it helps fermentation and a whiskey’s ultimate flavor profile just as much as it does any alcohol’s. Nowadays, Jack Daniel’s yeast is cryogenically preserved at -80°C and also stored at four separate labs within the company, all highly-secured, all designed to make sure the yeast strain stays exactly the same for the rest of time. Still, that doesn’t mean that one yeast strain can’t be of the utmost importance. “Your proprietary yeast gives your whiskey its special characteristics,” Eddie Russell told me. The co-master distiller at Wild Turkey, Russell believes his distillery’s house strain adds a nice spiciness and nuttiness to all Wild Turkey products. He credits his legendary father Jimmy Russell with being one of the first in the industry to treat yeast as an integral component in their bourbon. There’s also another reason you should respect your bourbon yeast—because it’s probably older than you are. Wild Turkey’s strain has been around since 1954, with numerous copies locked in secure vaults in different, undisclosed locations. (A big improvement from when Jimmy Russell used to simply keep his yeast in the fridge with a few duplicate copies at other family members’ homes.) 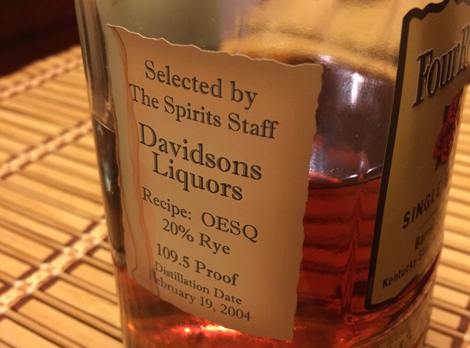 It may seem like a silly precaution, but lose that yeast, and forever lose the characteristic taste of your whiskey that millions of people have grown to know and love…and buy. Maker’s Mark has a closely-guarded “heirloom” house strain that has been around for about 150 years—it produces the spirit’s distinctly fruity taste—while Jim Beam’s yeast is an 82-year-old secret wild strain he “caught” on his back porch right after Prohibition ended in 1933. Old-time distillers like Jim Beam actually held the job of “distiller and yeast maker” according to bourbon historian Chuck Cowdery. So serious was Beam about his own yeast, that he apparently took it home with him from the distillery every single weekend. 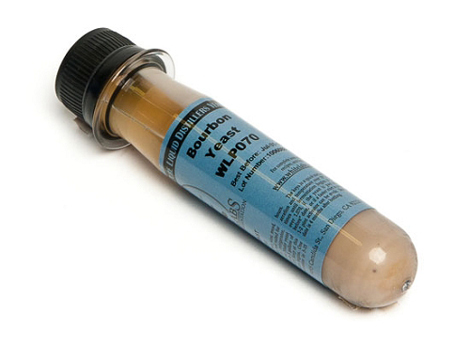 That same yeast is still used today to give Beam products their signature “foxy” taste, funky and musty. 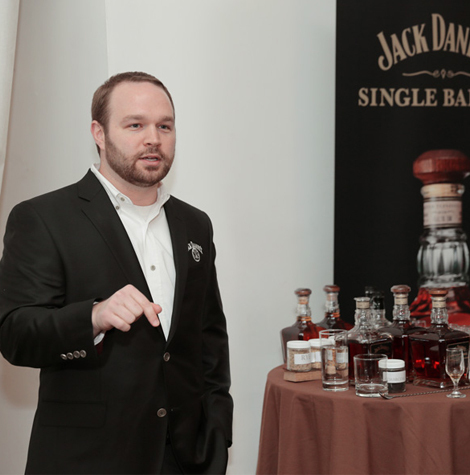 Fletcher is the assistant master distiller at Jack Daniel Distillery in Lynchburg, Tennessee. The grandson of former master distiller Frank “Frog” Bobo, Fletcher has a degree in chemistry that he uses to aid master distiller Jeff Arnett on all things yeast-related. The house yeast is believed to have been started by the distillery’s namesake, though a man named Jess Motlow, the nephew of “Mr. Jack” and the company’s second master distiller, is reason the yeast is still around today. When Daniel died unexpectedly right before Prohibition, Motlow was the one man tasked with remembering the distillery’s recipe and, perhaps most importantly, keeping the yeast secure until it was finally able to be used once whiskey production started up again. If you generally like Jack Daniel’s, Wild Turkey, or Jim Beam products, it’s probably because you like their yeast. So it’s a good thing all these distillers fiercely protect it. Nowadays, Jack Daniel’s yeast is cryogenically preserved at -80°C and also stored at four separate labs within the company—all highly-secured, all designed to make sure the yeast strain stays exactly the same for the rest of time.